Spiritual formation can best be described as the drawing out or the calling forth of the image of God already present in a person. The process of formation is a personal and spiritual maturation that occurs over a period of time, a life time. For some people the formation process may be intensified in a particular act of engagement in, for example, spiritual direction, reflective reading, retreats, prayer groups or study groups. Formation cannot be imposed, forced or demanded of a person. It is a free gift − freely given and freely received. For many people the parish is a centre of spiritual formation. Strong ritual − carefully prepared and celebrated − remains the primary school of faith for the vast majority of Catholics. The Word of God shapes our spirituality as individuals and in the community itself when a parish encourages and helps people to read, pray, discuss, understand, proclaim and bring the scriptures alive in our daily lives. Effective spiritual formation happens when catechesis is consistently implemented at every level; when a parish reaches out to the poor and marginalised, when there are opportunities or training in prayer and discernment, where bonds are strong and there is a shared vision built on a clear sense of mission and identity’ (Robert Duggan). What is intentionally available in this archdiocese especially for adults is rooted in the 1988, 1998 and 2006 synods. 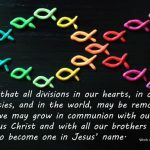 Our archbishop called the parishes to be a school of prayer so prayer is central to everything we do in the archdiocese − planned, reflective personal and communal prayer. 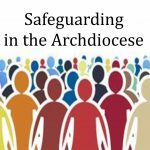 To enable this to occur, the archbishop has encouraged every parish meeting − gatherings in the home and school − to start with a prolonged, reflective prayer. The archdiocesan offices are also committed to formation. 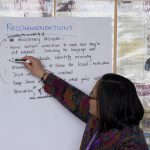 The Catholic Institute of Aotearoa New Zealand conducts formation courses for teachers in Catholic schools, and those in sacramental programmes and in parish education programmes. The Insititute is also the home of academic programmes in the classroom or by distance learning. These programmes include government-accredited papers in theology, scripture, religious education, youth and pastoral ministry. Archdiocesan Pastoral Services conducts formation seminars and workshops for parishes, parish pastoral councils, pastoral area councils, young people, youth and young adult ministers, marriage, Samoan and Maori chaplaincy. The archdiocesan formation programme, Launch Out, for lay pastoral leaders in parishes and chaplaincy ministry is a four- to six-year programme. All ethnic chaplaincies are involved in forming their people in a deeper love of God and commitment to God’s people.